Filed to: Aren't all bearded wizards basically the same?Filed to: Aren't all bearded wizards basically the same? Aren't all bearded wizards basically the same? If you had to replace a beloved actor who unfortunately passed away in the middle of filming a franchise, you might go looking for someone who also had experience in the “long-bearded wizard” department. Unfortunately for Warner Bros., Ian McKellen refused to take up the Dumbledore mantle. It’s not as if the Lord of the Rings star desperately needed another franchise on his resume, so no harm no foul. It is almost weirder that Warner Bros. offered the role to the man who had just played one of fiction’s most famous old wizards in another massively popular film series. On the one hand, he does have experience. On the other, wouldn’t it have gotten really confusing to see McKellen-as-Dumbledore premiering so soon after McKellen-as-Gandalf ended? 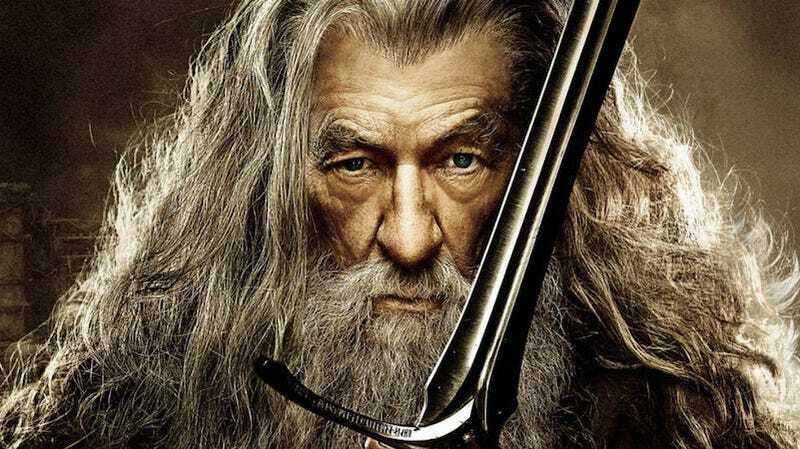 As it happens, the resemblance between Gambon’s Dumbledore and McKellen’s Gandalf was so strong that the dummy Gandalf used in The Hobbit was named after Gambon. So, in a way, one actor was both wizards.